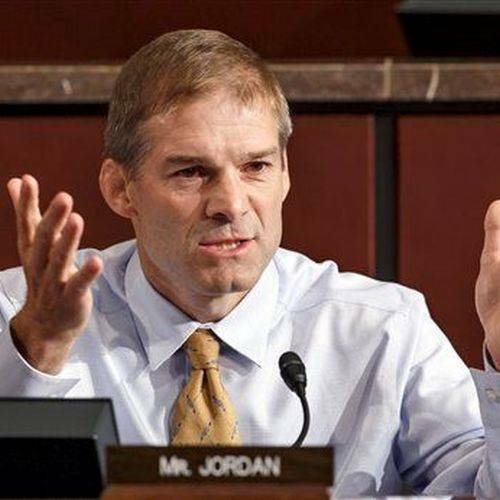 WASHINGTON, D.C. — Champaign County GOP Rep. Jim Jordan’s newly announced bid to become speaker of the House of Representatives may be hampered by lackluster fundraising in comparison to rivals, according to a Center for Responsive Politics analysis. Noting that fundraising “has historically been considered a key part of the speaker’s responsibilities,” the group said that other Republicans likely to seek the job — California’s Kevin McCarthy and Louisiana’s Steve Scalise — have raised $6.6 million and $4.1 million, respectively, this cycle. Their leadership political action committees, Majority Committee PAC and Eye of the Tiger PAC, have raised millions more for GOP candidates around the country. The last House Speaker from Ohio — John Boehner — raised more than $9 million in the election cycles before he got the job, as did his successor, Wisconsin’s Paul Ryan, the organization said. Jordan, who represents one of Ohio’s most Republican districts, hasn’t faced a serious re-election challenge since entering Congress in 2007. His fundraising has consistently been below U.S. House of Representatives averages, the group found, noting he raised just $436,000 over the past two years and doesn’t currently have his own leadership PAC. Jordan has donated $60,000 to others this cycle whereas McCarthy, Scalise and recent speakers of the House donated hundreds of thousands of dollars to their colleagues during the election cycles when they ran for speaker, the nonprofit, nonpartisan research group reported. But the group also noted that Jordan’s bid has backing from conservative groups including the Tea Party and the House Freedom Caucus, which Jordan co-founded, and that he’s running as a reform candidate who will change how the House of Representatives operates. “In a letter to his fellow Republican colleagues, Jordan said he wanted power in the House to be decentralized such that committee assignments and leadership positions are made on “talent, merit and experience,” whereas many such decisions are made allegedly based on fundraising abilities currently,” the group said. Jordan’s press spokesman did not immediately respond to a request for comment on the report.